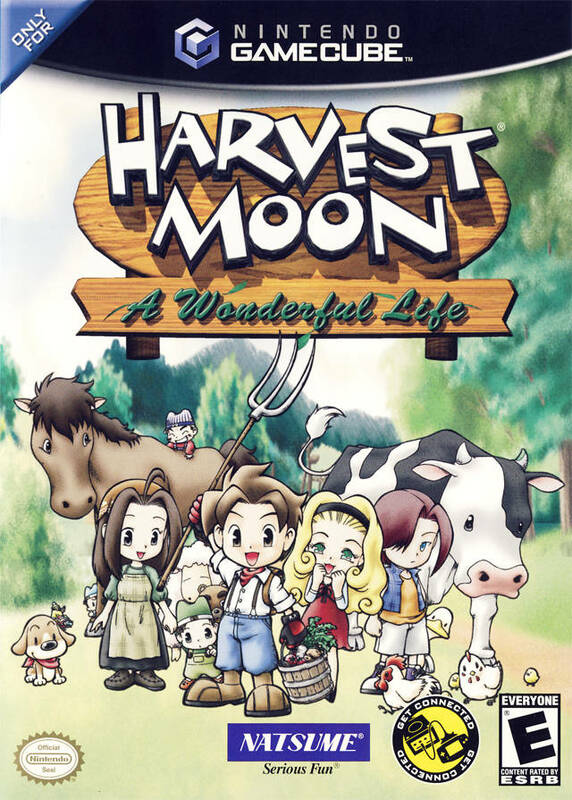 Harvest Moon: A Wonderful Life will span a lifetime on the farm and follow the drama that goes with it. Not only must you build and successfully run a farm, but you must also build a successful life with family and friends! Decide what sort of life you'd want to live, as you choose which vegetable to grow, which animals to raise, and more -- six amusing and interesting chapters that span across 30 years. This new Harvest Moon experience will take the best qualities of the series and add more...more animals, more vegetables and more drama! It shipped quickly and arrived before estimated date! Game is scratch free and plays great! I LOVE THIS GAME I HAD IT BEFORE BUT IT GOT LOST. This is the best, most relaxing life game I have ever played. It's really a game you can get into. I didn't receive the correct game. 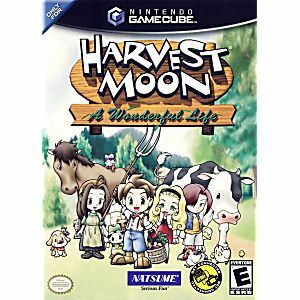 Instead I received Harvest Moon Another Wonderful Life. I have sent the game back for a refund plus $6 for shipping. The game shipped very quickly, plays great and the case and guide was in great condition, I couldn't tell it was used, with the exception of the sticker on the front that said so. As for the game itself it's gotten a bit boring to me since the last time I played it but it's still a great game. Just like any harvest moon you can raise a farm, mine up ore, and get married and have children. The game also sports a new cast of characters different from the previous games. There is a sister game to this "A more wonderful life" in which you play as a girl. Good, game, you get to meet characters and how you interact with them influences the game and what you can get and how your child grows up. They the map is very small could have made the map bigger.